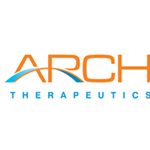 FRAMINGHAM, Mass., Feb. 05, 2019 (GLOBE NEWSWIRE) -- Arch Therapeutics, Inc. (OTCQB: ARTH) ("Arch" or the "Company"), developer of novel liquid, gel and solid hemostatic and wound care devices, will be featured as a presenting company at the 2019 BIO CEO & Investor Conference. The conference is being held on February 11-12, 2019 at the New York Marriott Marquis in New York City. Chief Executive Officer, Terrence W. Norchi, MD, is scheduled to provide a corporate update on Monday, February 11 at 2:15 PM ET and meet with investors who are registered to attend the conference. If you are an investor and wish to attend the Company’s presentation or schedule a meeting, please click the following link: https://www.bio.org/events/bio-ceo-investor-conference/general-registration. To access the live webcast, please visit: http://www.veracast.com/webcasts/bio/ceoinvestor2019/33121486228.cfm.